In response to an ongoing petition against him by the Nigeria Moment group, Adeniran Abraham Ariyo, a US based Yoruba doctor has released a statement apologising for his comments supporting the Oba of Lagos. In comments made on Facebook before the Nigerian gubernatorial elections, the cardiologist had championed a scenario where the Igbos in Lagos and elsewhere are massacred for seeking political influence based on their financial and business success. Read his letter below, where he states the comments were made in the heat of debate, and stitched together by his detractors to further cause strife. My attention has been drawn to the news circulating in the social media attributed to me captioned “ U.S. based Nigerian Calls for the Killings of the Igbos”. This story is categorically FALSE. It was generated by computer fabricators, manipulated and bandaged to create havoc. Our investigations indicate that this horrible story was cooked, seasoned and delivered to get back at me for my sympathy for the Oba of Lagos during the recently concluded, highly contested Lagos State gubernatorial election. At the peak of the debate, there were heated exchanges and at the heat of the moment, statements were made from both sides that could be misconstrued. The subsequent distortion by these sophisticated fabricators is causing significant injustice to us all. To all the people affected by the original debate or subsequent computer distortions, I hereby apologize. No matter what, these stories are offensive and highly regrettable. I condemn these computer fabricators in their entirety. I further condemn any killings or any acts of violence anywhere, be it South Africa or Lagos. Humanity will judge these people harshly. I work every day to save people’s lives from heart attacks. I am writing this letter with only 3 hours of sleep in the past 48 hours due to the nature of my work and the barrage of death threats on me and my family. I am Yoruba, but I have worked closely with Igbos all my life without any problem. It came as a shock to me and my Igbo colleagues, that I was being labeled as an Igbo hater. Indeed, I appreciate the confidence and support that I have received from my friends and well wishers that know me from around the world. I thank you for the support and your continued prayers in face of this unwarranted and relentless attack created by this false story. My only true statement regarding the Oba of Lagos was taken out of context on completely unrelated issue and bandaged together to create this horrendous story. To prove that I am no Igbo hater, but in fact, I am my brother’s keeper, I will take you through an improbable journey of a young Nigerian boy from a small town to the world’s pinnacle of academic medicine. I will highlight the practical examples of my close relationships with some of my Igbo colleagues all along the way. At the Univeristy of Ibadan, the first Nigerian University, I received the best medical education that could be obtained under the sun. My teachers were Yoruba, Igbos, Hausa, and Fulani. During our training, we were tribal free. 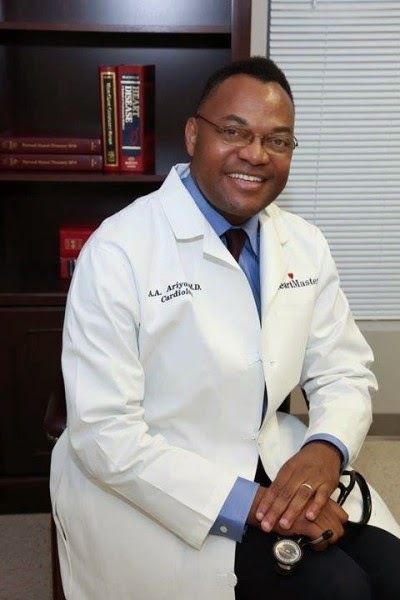 I am currently working with an old U.I colleague, who is a U.S. based Cardiologist, and an Igbo, Dr. Obi Emerole as we put together the First Lagos Cardiovascular Symposium this summer in Ikeja, Lagos. At Howard University Hospital, where I trained as a medical resident and chief resident, my Igbo friends were Dr. John Agwunobi and Dr. Ahagtotu. Dr. Agwunobi later became the secretary of health to Governor Jeb Bush in Florida, and, Dr. Ahaghotu is now the head of Urology and Associate Dean at the Institution. We were all interns, bound together as Nigerians, without tribal affiliations. We ate together, were on call together, and partied together on Saturday nights whenever we had time. In 1995, I was a research fellow at Harvard Medical School’s Brigham and Women’s Hospital in Boston, Massachusetts, where I was simultaneously enrolled for Master degree at the Harvard School of Public Health. I reached out to all the Nigerians in the Boston area institutions and we had regular meetings as “one Nigeria.” It was that year in Boston that I actually met Professor Wole Soyinka and the late Professor Chinua Achebe. At the Johns Hopkins Hospital, regarded as the number one hospital in the United States, I was an Interventional Cardiology fellow. My immediate senior colleague, Dr. Camellus Ezeagwu was Igbo. I went to his house quite often for some “Fufu and goat meat” that his beautiful wife regularly prepared for us. The best man at my wedding was an Igbo man. Our families enjoy time together and vacation together. I have served in various capacities under the umbrella of the Association of the Nigerian Physicians in The Americas (ANPA). I was humbled to be the keynote speaker at the recent end of the year event. I have also served in our communities and churches encouraging our youth to pursue a carrier in medicine. I have served as head, chairman, director, and secretary in various capacities in different Nigerian organizations that included Yorubas and Igbos for the past 30 years, and not once has anyone said that I hate one group or the other. I currently serve as mentor for lots of young Nigerian doctors. I help them get into residency and fellowship around the country (Yorubas and Igbos alike). As we speak, I have several Yorubas and Igbos students rotating under my service at the hospital. Nigeria is my country and I am proud of her. She gave me a lot and I intend to continue to give back. I will not let some people create a wedge between me and this country that I love. I believe my only sin was the support that I gave to the Oba of Lagos. As a son of a monarch myself, I have utmost respect for our native rulers. Thus, the position that I took during the debate leading to the highly spirited Lagos State gubernatorial election might have offended some people. For me, this is a lot of price to pay when I am not even a politician. It also shows how far people will go for payback. But, please, this is not a game for me. I have my plate full in USA. I would rather use this time to save lives and improve the health of people, or increase the chances of other Nigerian kids getting to where I am today rather than responding to false stories designed to get back at me for my different political position. At the time that I am writing this missive, I have received over 500 telephone calls that are mostly death threats. Please let us calm down and work together for peace. I hope my story clears some ambiguities regarding this unfortunate computer manipulated and generated story. Although, it hurts a lot, I will forgive them (the fabricators). We want every Nigerian to live in peace and harmony. We seek a more tolerant Nigeria, a vibrant Nigeria where there is freedom and liberty, where no one is inferior or superior to the other. We need to band together and start building our nation towards prosperity and a brighter future as we move forward to a more perfect Nigeria. God bless Nigeria. God bless us all.